Quick Locksmith Santa Monica can handle all of your security needs for your residence, business or automobile. We are a mobile locksmith company that allows us to respond to our customers needs within 15 minutes, 24 hours a day, 7 days a week. Our team professionals are well trained and kept up to date on the latest technologies in the security industry. Being licensed, bonded, and fully insured technicians we perform every job with security expertise. Quick Locksmith has been providing excellence service to the Santa Monica area for many years. We are a fully licensed and insured locksmith company for the city of Santa Monica. Quick Locksmith Services is also police permitted. We offer a multitude of resolutions for your security needs from a residential Re-key, emergency lock outs, apartment move-in or move-out locksmith services, entry gate locks, master key systems, and garages locks with fair and competing pricing. Quick Locksmith Santa Monica can handle your business security needs with integrity and courteous service. We have been entrusted to handle high security locks, high profile re-keys, master keying, commercial safes and the always needed desk and file cabinet locks. The automobile services performed by Quick Locksmith Santa Monica can resolve many of your issues such as simple lock outs, jammed keys or re-keying for lost keys. We can help you with broken ignition keys, smart keys, remote control keys, VAT keys and transponder chip key programming. Utilizing the most advanced key cutting machines available in the industry, Quick Locksmith Services can provide it’s customers with peace of mind knowing they are getting high quality materials and reliable service. 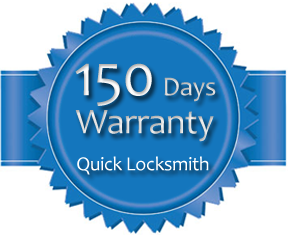 Quick Locksmith keeps the highest standards in the security industry. We offer a 100% satisfaction on all our products and services. Also, included in every visit is a free security check for our customers home or business upon arrival. For a free estimate on our services give us a call at 1-855-222-8388, we look forward to assisting you with your security needs of any kind, at any time! !